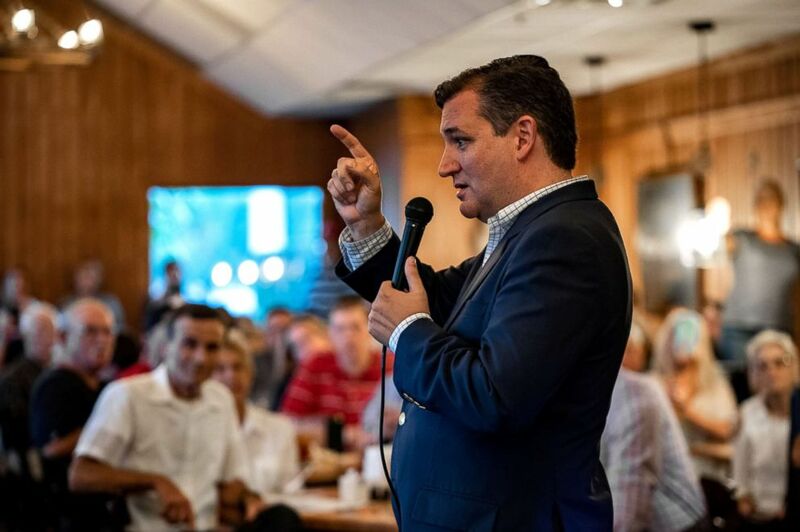 Sen. Ted Cruz speaks to supporters inside Schobels' Restaurant in Columbus, Texas, Sept. 15, 2018. If you've got 4,000 people trying to cross illegally at one point, of course we should have the law enforcement resources to stop that. That's simple, common sense. 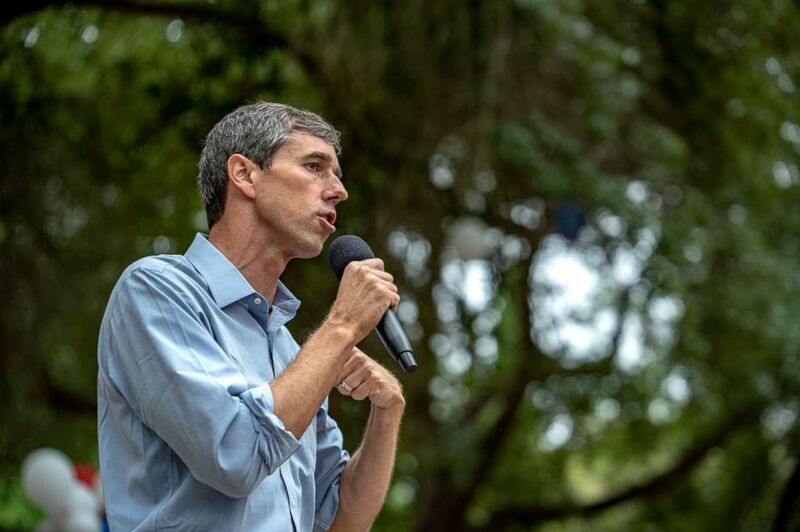 Rep. Beto O'Rourke gives a speech to supporters at an event in Del Rio, Texas, Sept. 22, 2018. 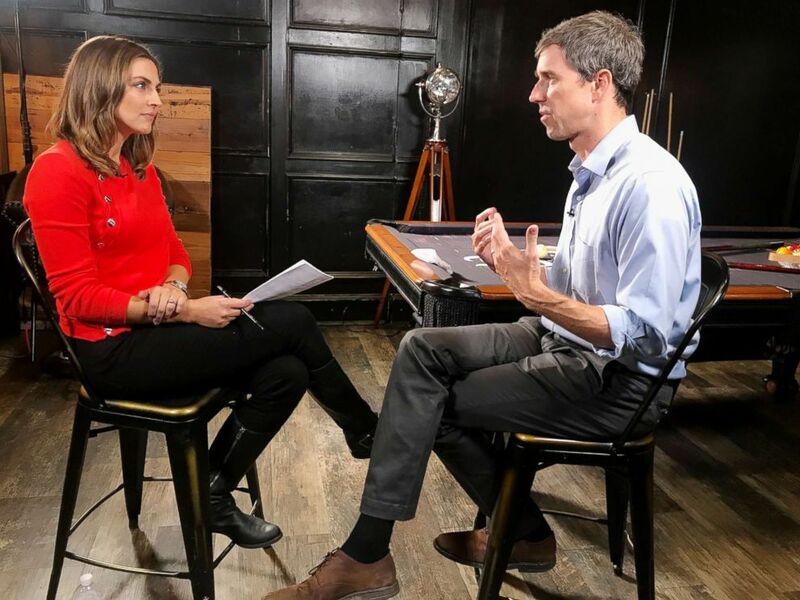 If things are so desperate -- in Guatemala, Honduras, El Salvador -- that someone would risk their lives to come here, then what can we do to improve conditions there? 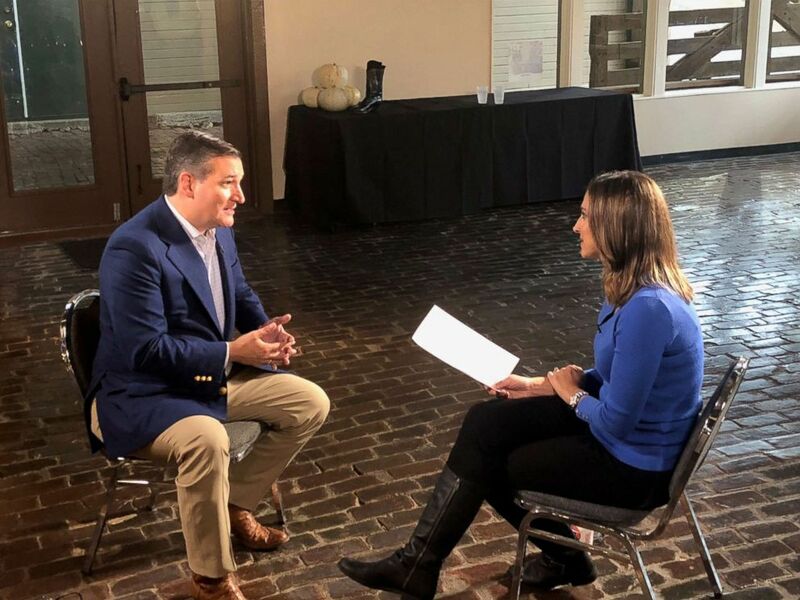 Sen. Ted Cruz speaks with about ABC News' Paula Faris about the midterm elections and other topics.